The venom of the black mamba is extremely potent. It consists of proteins that are relatively low in their molecular weight which allows the venom to spread particularly quickly through the infected tissues compared to other snake species. Black mamba venom is made up of many types of dendrotoxins, many of which are cardotoxins, which affect the heart, neurotoxins, which affect nervous tissue, fasciculins, which affect muscles and their involuntary movements, and calciseptine, which blocks calcium ion channels in human cells (read more about this in a study by clicking here). In most cases, suffocation will be the cause of death due to paralysis of the respiratory muscles making it impossible for the the victim to breathe. Even if treated with anti venom, if it is delayed, paralysis of the limbs can occur. 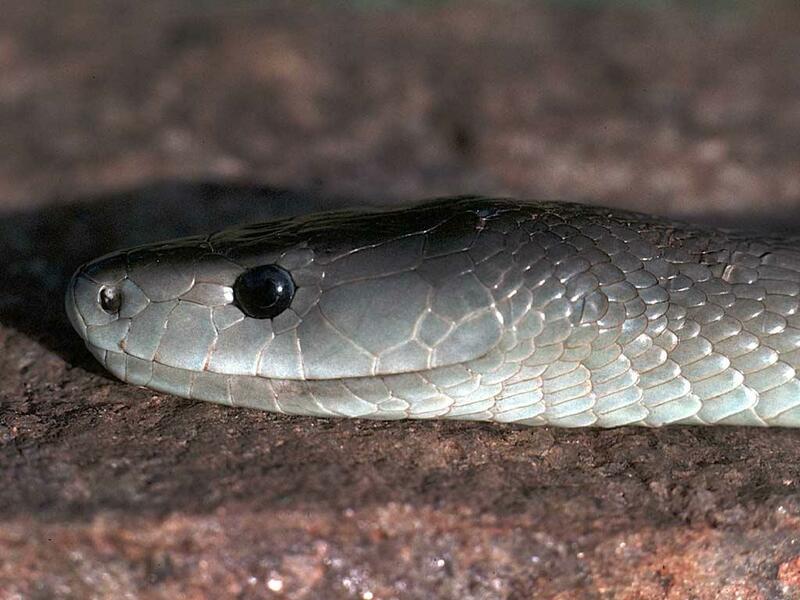 The black mamba is notorious for its venomous bite and is one of the deadliest, if not the deadliest, snake in the world because of it. The black mamba’s venom is not completely catastrophic however. In a recent study published in Nature magazine, the venom of the deadly snake was shown to possess pain- relieving capabilities. The venom does this by blocking acid- sensing ion channels (ASIC’s). More specifically, it is peptides in the venom called mambalgins that block the ASIC’s. ASIC’s have been shown to be a major player in the sensation of pain in the human body. Other snake venoms have been show to activate these ASIC’s which in turn causes pain. Surprisingly, mambalgins have shown the opposite effect. These mambalgins have been compared to morphine in their pain relieving power, yet they have more benefits, mainly causing less respiratory complications. The previously terrifying venom of the black mamba now has potentially very powerful therapeutic applications. To learn more about another extremely venomous animal, click here.